Last fall, the usually elusive OutKast legend Andre 3000 stepped out of the shadows for a rare guest verse, blessing an upstart rap crew from Virginia with a full feature and a looming cosign on a song called “Decemba.” Even without the 3K association, Divine Council, a four-man rap crew from Richmond, have been drawing deserved attention with a bevy of hazy beats and stream-of-conscious raps. Rumor’s two-parties-one-club night is back with a special guest in Denney, a globetrotting DJ who never strays far from the dancefloor. Fresh off the February release of his “ Full Circle EP ,” Denney invites local stalwart Chris B into the mix for a no-nonsense night of dance music, a perfect pre-weekend kickoff. Timothy Showalter has been putting some distance between himself and the album that helped build up his stage name, Strand of Oaks. The album in question, his fifth, was released in 2014, and it was dark and reflective, honing in on the pain and betrayal of a struggling relationship. Showalter’s latest maintains a similar sound but pushes in the other direction: relief and hope. Valerie June, the Memphis singer-songwriter about to release her fourth album, has a voice you can’t shake. It’s wiry, both delicate and firm, and she lets it spill out with a nasally sneer. There’s also that Southern drawl ladled on top. Her new album, “The Order of Time,” is a bluesy folk meditation that releases on Friday. Vanessa Carlton has mostly escaped the pop smash she released more than 15 years ago, but “A Thousand Miles” may be a permanent preface to any introduction. Now, Carlton sings and plays a decidedly different sound. And while she’s still leaning on those pleasant piano runs, her later music is challenging, weird, and daring, funnelling her songwriting through polished folk production. Proving “jam band” doesn’t have to be a pejorative, the local collective Killiam Shakespeare take over Johnny Brenda’s with a slew of guests on Saturday. Anchored by the instrumentalist and production duo of Steve McKie (drums) and Corey Bernhard (keys), Killiam is back in the studio working on a follow-up to their 2016 album “ Killiam Season 1 ,” reuniting with DJ Jazzy Jeff in the process. This weekend they’re joined by frequent collaborators in vocalists like Jennah Bell, Christ Turner, and more. 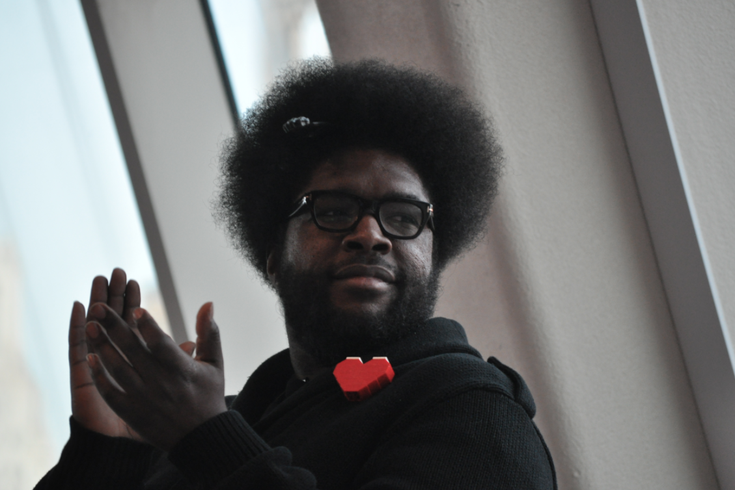 Questlove’s on-and-off again Philly DJ residency returns this Sunday. Sharing a name with his Pandora radio show, Questlove Supreme is a rare chance to see the hometown hero on his own stomping grounds without any other hoops (or opening acts) to jump through. Known to surprise party goers with unexpected themed sets, expect Quest to bring out all the stops.